The Armen Living Nofi contemporary sectional patio set is an ideal comfort arrangement for any modern outdoor space. 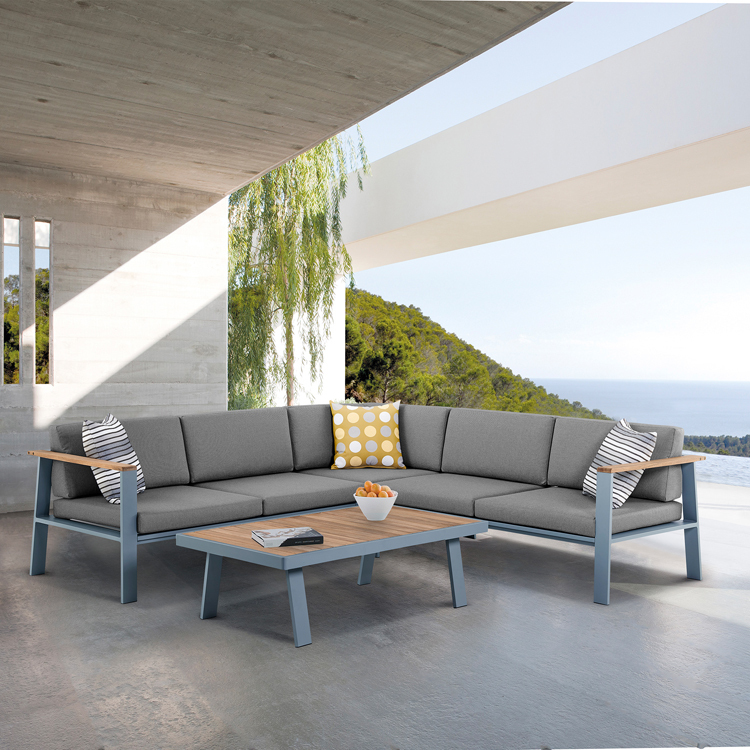 Featuring 3 combinable sectional pieces and 1 coffee table, the Nofi is an excellent choice for poolside social gatherings. The Nofi set is made of sturdy, yet lightweight aluminum metal, allowing for easy transportation without compromising on durability. The coffee table top features panels made of the same teak wood used to accent the arms of the sectionals. 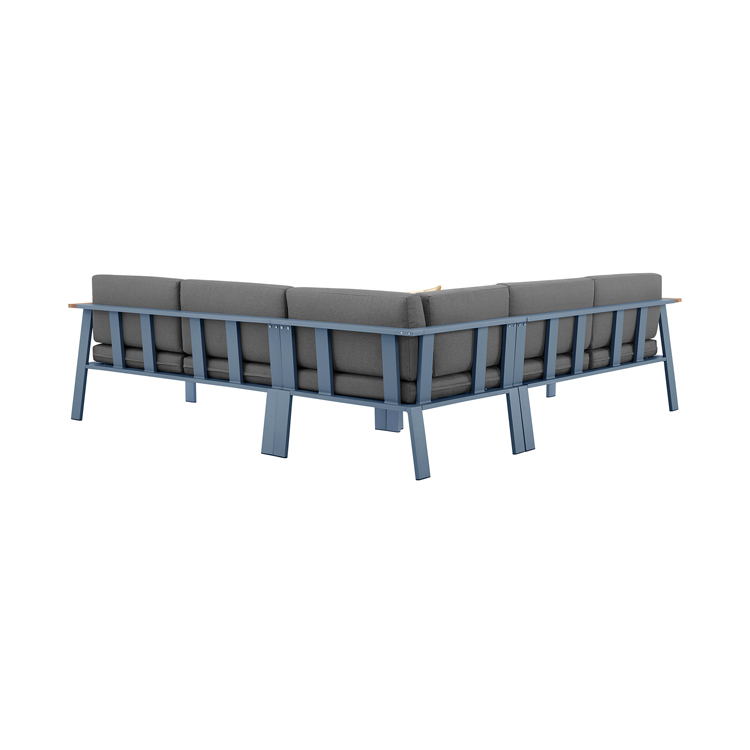 The Nofi’s olefin upholstery is foam padded and provides water, chemical, and fade resistance to the sectional pieces. The sectional pieces are further accented by the inclusion of 3 loose throw pillows. The Nofi sectional outdoor set is available in two styles: charcoal finish with taupe upholstery and gray powder coated finish with gray upholstery.